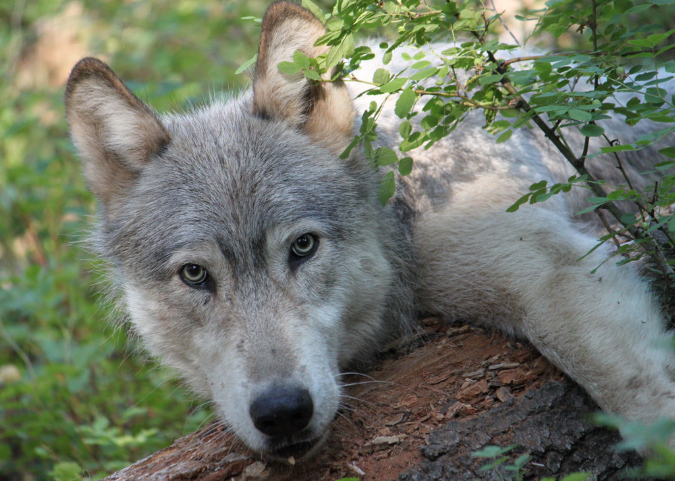 SEATTLE— Demonstrating Americans’ broad opposition to the Obama administration’s plan to strip Endangered Species Act protections from gray wolves, members of the Pacific Wolf Coalition submitted 101,416 comments to the U.S. Fish and Wildlife Service today favoring continued wolf protections. The comments on behalf of the coalition’s members and supporters in the Pacific West join 1 million comments collected nationwide expressing Americans’ strong disapproval of the Fish and Wildlife Service proposal to remove federal protections from gray wolves across most of the continental United States. The strong support for maintaining wolf protections was apparent in recent weeks as hundreds of wolf advocates and allies turned out for each of five public hearings held nationwide. At the only hearing in the Pacific West, Nov. 22 in Sacramento, Calif., more than 400 wolf supporters demanded the Fish and Wildlife Service finish the job it began 40 years ago. "Gray wolves are just beginning their historic comeback into the Northwest, and they need federal protections maintained at this sensitive time," said Josh Laughlin, Campaign Director with Cascadia Wildlands. "Politics shouldn't trump science during this critical recovery period." Wolves are just starting to return to the Pacific West region, which includes the western two-thirds of Washington, Oregon and California. This area is home to fewer than 20 known wolves with only three confirmed packs existing in the Cascade Range of Washington and a lone wolf (OR-7) that has traveled between eastern Oregon and northern California. Wolves in the Pacific West region migrated from populations in British Columbia and the northern Rockies. To promote gray wolf recovery in the Pacific West and combat misinformation, the Pacific Wolf Coalition has launched its new website — www.pacificwolves.org. The site, which offers easy access to factual information and current wolf news, is part of the coalition’s ongoing work to ensure wolf recovery in the West. “OR-7’s amazing journey shows us that wolves can recover to the Pacific West, if we give them a chance” said Joseph Vaile, executive director of Klamath-Siskiyou Wildlands Center.